Scottish Power has confirmed that its 2.4GW Longannet coal-fired power plant will shut in March next year, saying it is “uneconomic” to run a thermal power plant in Scotland where transmission charges reach as high as £40 million per year. The generator said in March this year that it would be forced to shut down the plant after 46 years of service after National Grid opted to award a crucial contract to rival energy generator SSE. Without the contract Longannet is unable to turn a profit due to a combination of high carbon taxes and high transmission charges, the company said, meaning the plant will need to shut down at the end of the coming winter season on 31 March 2016. “We have explored every potential option to keep the station open, and we still maintain that Longannet could continue generation in to the next decade under the right economic conditions,” Scottish Power’s chief executive of retail and generation Neil Clitheroe said. 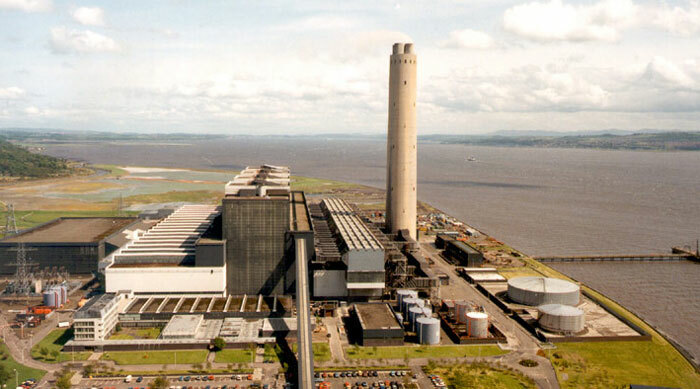 Clitheroe has consistently argued that the “punitive” transmission charges levelled against generators in Scotland would result not only in the closure of the Longannet plant but also create a major barrier to any future investment in flexible thermal power generation in Scotland. The company added that it will abandon plans to develop a gas-fired power plant at Cockenzie citing the same economics “affecting all thermal plant in Scotland”. The issue of Scottish transmission charging has become increasingly tense over recent months, with SSE chief executive Alistair Phillips-Davies joining calls for the regional costs demanded of generators in Scotland to transmit power to areas of the UK with higher demand to be “flattened out”. Phillips-Davies urged energy secretary Amber Rudd to change the electricity transmission charging structure to bring in a single “national price” for electricity transmission charging. Rudd has also come under pressure from the Scottish National Party (SNP) which has called for a reform of the “unfair” transmission charging regime, which penalizes Scottish electricity generators compared to generators in the south of the country. “It cannot be right that a thermal power station in Scotland can face crippling transmission charges of £40 million every year when an identical power station in the south of England would actually be subsidized,” said MSP Chic Brodie in March this year. In addition, SNP leader Nicola Sturgeon called directly on Prime Minister David Cameron to take “urgent action” to safeguard the plant. Although transmission charging may be reformed in the future the plant would still face steadily escalating carbon prices which erode profits from coal-fired power. The UK’s carbon tax has increased to £18.08 per tonne of CO2 emitted in addition to the European ETS meaning that UK coal generators pay over £25 per tonne emitted while the EU is around £5/mt. In addition the European carbon price is also beginning to rise following an agreement in Brussels to introduce the Market Stability Reserve to hold surplus allowances in 2019 and the European Commission’s publication of draft reform proposals in July that aim to tighten the market after 2020.